Following the success of their award-winning first book, Sarit Packer and Itamar Srulovich bring us the tales and treasured recipes of their pastry section. 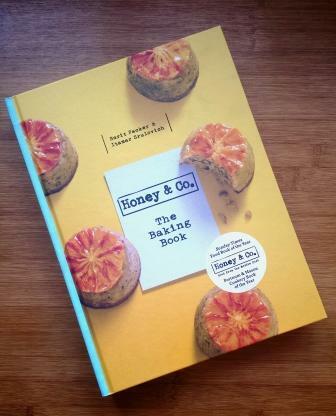 Guest writer Joanna Clifford reviews the latest book from the team at Honey & Co. There’s also an opportunity to win Honey & Co: The Baking Book in this month’s Food At Heart Competition. There are more recipes readily available than one could ever have time to make, yet our national hunger for food writing has not been sated. I believe that we keep turning to cookbooks, blogs and magazines for the stories that contextualise a recipe as much as for the recipe itself. Not lengthy accounts of new cuisines or revolutionary cooking techniques, but rather small, personal tales. Eating the glut from our parents’ veg patch, picking elderflowers in the summer and blackberries in the autumn, the taste of our grandmothers’ bread, Sunday roasts, university kitchen nightmares, intimate first dates and rainy barbecues. These are the ordinary stories that bring recipe writing to life. Few understand the evocative power of food anecdotes better than Sarit Packer and Itamar Srulovich. Their love for food is bound up with their love for one another and, more latterly, their love for the staff and customers of their restaurant, Honey & Co. Their first cookbook may be organised like their menu, working its way from mezze to their infamous cheesecake, but it is really guided by the little love stories of Honey & Co: Itamar stealing bouikos from the pastry chef, the beekeeper delivering honey on his bike and the favourite dishes of their regulars. By cooking from these recipes, you not only create something truly delicious, but also share in their passion. Sarit’s and Itamar’s second volume, Honey & Co: The Baking Book, is similarly influenced by their familiar food routines. Indeed, the book is even divided up according to the rhythms of a day. We eat Fitzrovia buns at ‘First Light’, phylas (savoury pastries) at ‘High Noon’, and baked fruit ‘After Dark’. As in their first book, recipes are peppered with Patricia Niven’s beautiful images, which capture mid-moment as ingredients are measured and mixed, pastry is folded, and customers hungrily dig in. 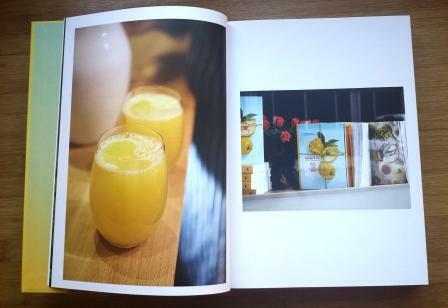 The photography, combined with the personal sketches from daily life at Honey and Co, animates the pages. Sarit and Itamar may focus on their day-to-day recipes and techniques, yet none of this book’s baked goods taste ordinary. Quite the opposite; there are wonderful new flavours to be found in traditional Middle Eastern bakes. Even familiar cakes are elevated to new height; for instance, ricotta is used to keep a sponge moist and light, while cardamom adds interest to a classic coffee and walnut combination. 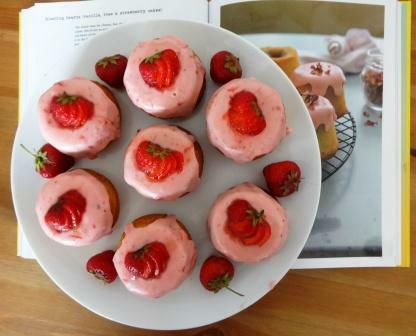 Flavour is the final component of The Baking Book’s winning formula: stories entice you to try a recipe, practical advice guides you through it, and flavours ensure the finished article tastes truly delicious. 1. Always read the entire recipe before you start and make sure you understand it. Wherever possible, set out all your ingredients in advance too; that way, there is less chance of forgetting something. 2. The freshness of eggs can affect many desserts, especially ones that aren’t baked, like mousses and creams. Store your eggs in the fridge to keep them fresh, but always let them come up to room temperature before baking. The best way to tell if an egg is fresh is to put it in a bowl of cold water. If it sinks to the bottom, it’s fresh; if it floats, it’s best not to use it. – The colour should be golden and preferably even all over. If you’re concerned about over-cooking the sides, make an aluminum foil jacket to cover the sides of your cake and leave the centre exposed. – The texture of the cake should be the same all over. Gently press the centre of the cake and also the outer edges with your finger tip. In most cases it should feel fairly firm. 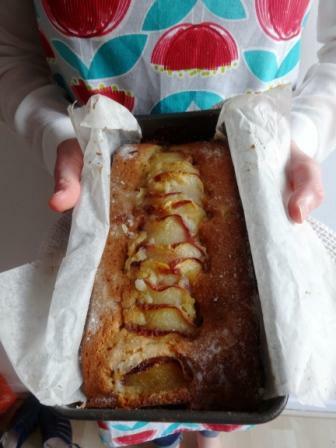 – As ovens don’t bake evenly, it’s best to turn your cake tin around half way through the baking time. You can find more of Joanna’s writing and reviews at The Gourmet Gannet. Time to get baking: my top 10 baking blogs (Part 1) Time to get baking: my top 10 baking blogs (Part 2) A Year In Cheese? Yes please!